MBDA announced on February 8 that it has commenced deliveries of a quantity of Advanced Short Range Air-to-Air Missiles (ASRAAM) for the United Kingdom’s F-35B aircraft. The first missile was delivered to the U.S. in January in conjunction with BAE Systems (the UK’s F-35 weapon integration lead). ASRAAM will be the first UK missile to arm the F-35 and its integration within the F-35 System Development and Demonstration (SDD) phase of the program will give the Royal Air Force and the Royal Navy’s F-35s a highly capable, passive, Within Visual Range air-to-air capability, MBDA officials noted. These test missiles will be used during 2016 for a series of flight trials and air-launched firings that are a key step towards the Initial Operating Capability of the aircraft by the UK. The trials will include environmental data gathering, safe separation from the aircraft and weapon integration with the F-35’s on-board systems. It will also involve weapon firing trials. Kongsberg Maritime has been selected by L-3 MAPPS to provide the CCTV system for the Royal Canadian Navy’s Arctic Offshore Patrol Ships (AOPS). L-3 MAPPS is one of the Tier 1 suppliers to Irving Shipbuilding, the prime contractor behind the AOPS program. Kongsberg Maritime has over 70 employees in Dartmouth, Vancouver and St. John’s, 190 employees in the UK and approximately 4,600 total across the world. “Further to our recent CCTV supply for the Halifax-class frigates IPMS (Integrated Platform Management System) upgrade, we are delighted to be able to leverage from our proven marine & naval camera technologies to support L-3 MAPPS, Irving Shipbuilding and RCN on the prestigious AOPS Program which is a key milestone in the renewal of Canada’s combatant fleet,” David Fleming, Camera Systems Manager for Kongsberg Maritime, said in a statement. Forming a key part of the IPMS, the CCTV system will provide the crew with real time video surveillance to assist with mission critical operations as well as providing increased safety, security and situational awareness on board the AOPS, the firm noted in a statement. Deliverables from Kongsberg Maritime will include a combination of proven harsh environment CCTV cameras and cameras that have been adapted to meet the demands of RCN and an Arctic environment. That includes an upgraded, high definition, version of the proven Kongsberg Maritime Helicopter Operations Surveillance System (HOSS), which will assist in monitoring of the take-off and landing operations off the CH-148 Cyclone helicopters. Kongsberg recently delivered a new CCTV system for the U.S. Coast Guard’s Polar Star heavy icebreaker. 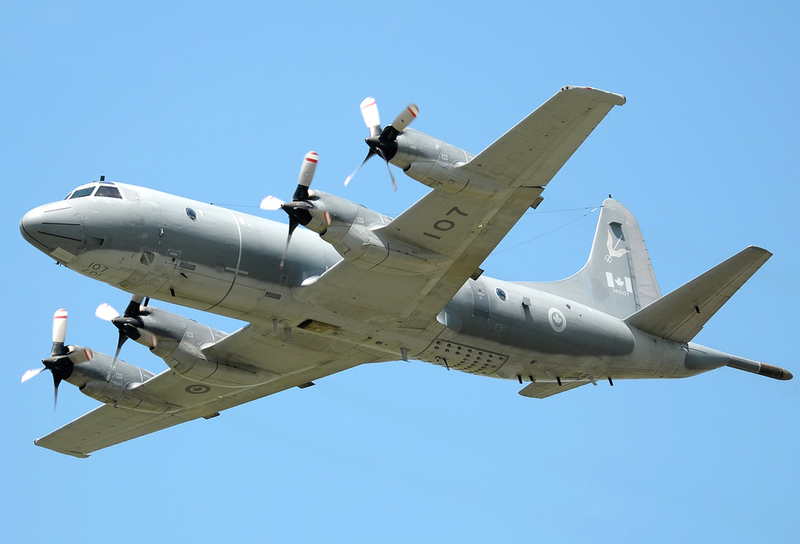 MacDonald Dettwiler and Associates of Richmond, BC, signed a contract amendment for $3 million with the Department of National Defence to provide upgrades to the ground systems supporting the radar surveillance systems on the RCAF’s fleet of CP-140s. Those systems were developed by MDA. MDA’s radar surveillance system provides users with a high resolution imaging capability that can detect, locate, and classify land and marine-based objects, such as vehicles and ships. Rolls-Royce announced that it had achieved a significant milestone for the Royal Navy’s new Type 26 Global Combat Ship program. At a recent ceremony in Bristol the company marked the completion of a successful factory acceptance test for the first MT30 gas turbine for the Type 26 Global Combat Ship in the presence of the UK Minister for Defence Procurement Philip Dunne MP, and representatives of prime contractor BAE Systems. Rolls-Royce has signed a contract to supply MT30 gas turbines for the first three Royal Navy Type 26 Global Combat Ships. The company has also signed Design Development Agreements (DDAs) with BAE Systems for steering gear, stabilizers, and mission bay handling equipment. There is also a DDA in place for diesel generator sets to power the ship’s electric drive system, Rolls-Royce noted. The factory acceptance test, which has to be completed before the gas turbine can be delivered, was carried out at the Rolls-Royce Test Facility in Bristol. The engine was put through a week of rigorous performance tests, witnessed by representatives from BAE Power Systems. The MT30s are also being installed in the Royal Navy’s new aircraft carriers, HMS Queen Elizabeth and Prince of Wales. They are also in service with the U.S. Navy and have been selected for the Republic of Korea Navy’s latest frigate program. Rolls Royce officials have noted that while the MT30 is built in its UK manufacturing facilities, the Type 26’s mission bay handling equipment is produced exclusively in the company’s Peterborough, Ont., marine manufacturing center. For the first time, the Royal Thai Army has awarded Rheinmetall a major contract for air defence technology. The multi-million euro order encompasses four latest-generation Skyguard systems. In all, the group’s Swiss subsidiary Rheinmetall Air Defence will be supplying Thailand with four Oerlikon Skyguard 3 fire control systems and eight 35mm Oerlikon Twin Gun GDF 007 anti-aircraft cannons. The order also includes Rheinmetall’s unique Ahead airburst ammunition and additional services. Delivery will take place between 2017 and 2020. A key element of the modernization program consists of equipping the missile/gun air defence systems with advanced radar technology. Besides a new search radar, the Skyguard 3 systems will be outfitted (among other things) with a new target tracking radar, a latest-generation friend-foe identification system as well as cutting-edge electronic warfare components. The missile launcher will be upgraded with a new state-of-the-art electronic pod, which will enhance the system’s missile capability. Logistical support will also be improved. Rheinmetall has also received a contract to modernize air defence system of an undisclosed international customer. Irving Shipbuilding has fired back at the CBC about its news report detailing problems with the Canadian Coast Guard’s mid-shore patrol ships. CBC cited complaints about faulty wiring and premature corrosion on the new Hero-class, 43-metre patrol vessels. Other complaints included polluted water tanks, faulty pipes, and a gearbox failure. Such issues could endanger the safety of the crew, the CBC noted. Irving responded to the CBC report through a statement, noting that only “minor and routine” issues have been raised about the mid-shore patrol ships and it has worked with the Coast Guard to deal with these. Irving acknowledged that five sections of cable, less than 500 metres of wiring, had to be replaced. But considering how much wiring is in the ship, “No reasonable person would call this ‘faulty wiring’,” Irving responded in its statement. Irving has also noted that the mid-shore patrol vessel design is a proven one and that it has been certified by experts at Lloyds Registry and the Canadian government. The French Ministry of Defence has launched the Aster Block 1 NT program. NT stands for new technology and the goal is to modernize the SAMP/T ground based air defence system as well as its associated Aster missile. The contract was awarded to the EUROSAM consortium, which includes MBDA and Thales. It calls for the development of a new version of the Aster 30 Block 1 missile, referred to as Aster B1 NT. Airbus will buy the Navtech group of companies, which provide flight operations solutions. Navtech serves more than 400 aircraft operators and aviation services customers worldwide with a suite of flight ops products, including electronic flight bag (EFB) solutions, aeronautical charts, navigation data solutions, flight planning, aircraft performance, and crew planning solutions. Navtech generates annual revenues of around $42 million and employs over 250 employees, mainly based in Waterloo, Ont., and in Hersham and Cardiff, Wales, UK.